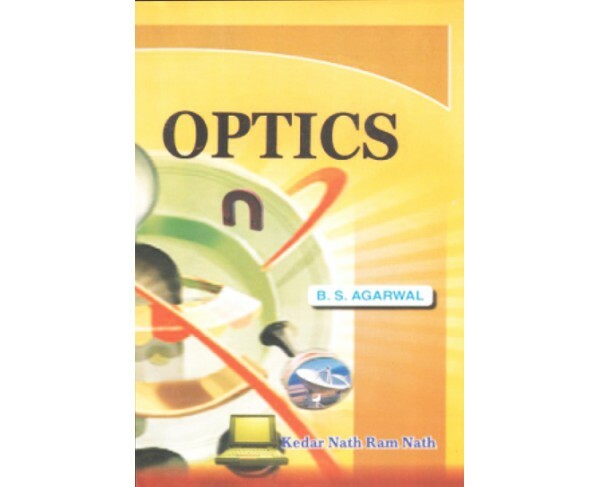 GEOMETRICAL OPTICS: 1. Fermat's Principle of Extremum Path; 2. Cardinal Points and Planes of an Optical System; 3.Combination of Two Thin Lenses; 4. Thick Lenses; S.Chromatic Aberration; 6. Monochroma..
GEOMETRICAL OPTICS: 1. Fermat's Principle of Extremum Path; 2. Cardinal Points and Planes of an Optical System; 3.Combination of Two Thin Lenses; 4. Thick Lenses; S.Chromatic Aberration; 6. Monochromatic Aberrations in Images: Aplanatic Points: Oil-Immersion Objectives; 7. Eyepieces and their Cardinal Points. PHYSICAL OPTION: 8. Waves theory of Light; 9. Interference of Light I (Division of Wavefront); 10. Interference of Light II (Division of Amplitude); 11. Coherence; 12. Diffraction of Light I (Rectilinear Propagation of Light and Fresnel's Diffraction); 13. Diffraction of Light of II (Fraunhofer Diffraction and Diffraction Gratings); 14. Resolving Power of Optical Instruments; 15. Polarisation of light and Double Refraction; 16. Circularly and Elliptically Polarised Light; 17. Optical Rotation: Polarimeters; 18. Spontaneous and Stimulated Emissions: Laser; 19. Holography.